ExpiredGOT “MAILBOX MONEY”? No? Let Us Show You How To Get Some! You are here because you are interested in creating more time and financial freedom, right? You want to own your own life and not have anyone else tell you what to do. One of the ways to do this is to find a way to create “Mailbox Money”. What is mailbox money? It is passive income that is delivered to your mailbox month after month, year after year. All you have to do is walk to the mailbox then deposit the check into the banking account. What could be easier?! 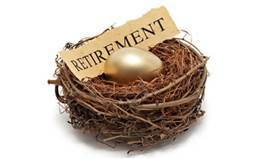 Need to grow your retirement nest egg? This is also a great program for your IRA to participate in for consistent growth. How does this Dallas-REIG “mailbox money” work with real estate? Dallas-REIG team members, Joe Boston and Katherine Villarreal head up this program that finds, acquires, rehabs, leases and manages a portfolio of Sharevestor program properties that generally perform with double digit returns. And although no rate of return can be guaranteed, using our team's 20+ years of real estate investing experience, we only choose the best of the best properties to put into our program. During this presentation, you will see how the program works and how you can participate in this passive income strategy. Create enough “mailbox money” and you WILL be able to take back your life. Our Sharevestor program can help you do just that. Did I mention, we do all the work, you reap all the benefits? What you are going to learn here is a program for creating a “wealth asset” of your own. Hope you will join us for this innovative investing program designed with you… and your life in mind.